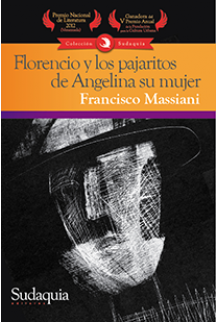 Francisco Massiani has mastered a fresh, vital style of writing which moves deftly from the vernacular to subtle erudition, presenting an unforgettable series of tales so real they feel as if they had been told in person by an old friend. A summer in Paris, one night in El Hatillo, the University coffee shop, a desert island and the Parque del Este are some of the places that the characters of this book navigate. With this collection, which was awarded with the first prize of the V Annual Contest of the “Fundación para la cultura urbana”, Massiani consolidates himself as one of the most distinctive voices of the current Latin-American narrative.